It’s hard to look at this stunning woman and imagine her having low self esteem, but like many of us, she experienced self-doubt. Listen to her tear-jerking interview with Aunt Oprah and she talks self esteem and the small joys of life. 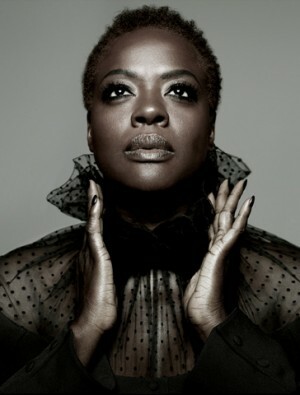 From The Grio: FAB actress Viola Davis looks gorgeous in a photo spread for LA Times. From Afrobella: An inside look at FAB actress Octavia Spencer’s red carpet beauty secrets. From ConcreteLoop: Aninterview with FAB Girl and actress Cymphonique Miller, stars of Nickelodeon’s “How to Rock“. From Essence.com: FAB Girl and X-Factor winner Melanie Amarostars in a Pepsi commercial with Elton John and Flavor Flav. From GlitterGlossGarbage.com: Just in time for Valetine’s Day, Hello Kitty’s ‘Love Bandit’ collection. From Entertainment Weekly: FAB actress Raven-Symone has lots of upcoming projects, including a role on Broadway. Adepero Oduye (standing), and Paula Patton(far right) make Vanity Fair's coveted Hollywood issue. FAB Women are having a great year in cinema! From FAB stars Viola Davis and Octavia Spencer winning big at The SAG Awards to Ava DuVernay being the first black woman to win Best Director at The Sundance Film festival for the film, ‘Middle of Nowhere’, FAB Women are making their presence known in Hollywood! Now, FAB Actresses Adepero Oduye, star of the critically acclaimed coming of age film ‘Pariah‘, and Paula Patton, star of the new ‘Mission Impossible’ installment both grace the cover of The Vanity Fair Hollywood Issue. They are joined by other hot stars and wearing gorgeous pastel gowns while evoking a very old Hollywood glamour. We love it! 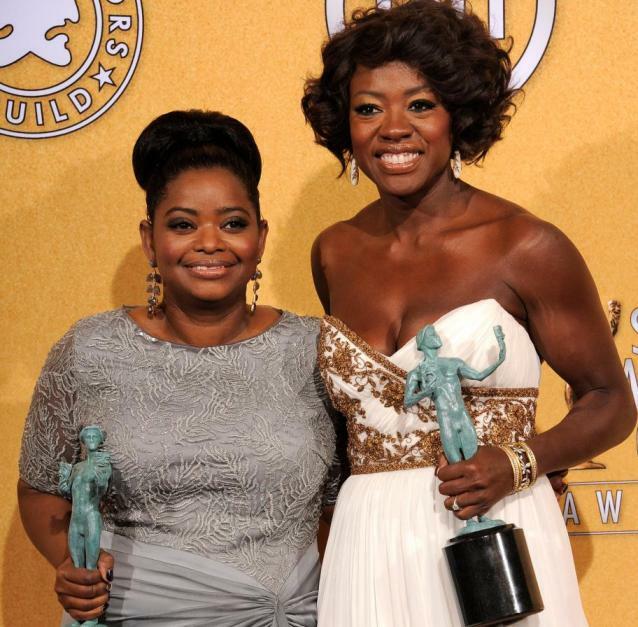 Last night at The Screen Actors Guild Awards, two FAB Actresses won awards for their roles in the film, ‘The Help’. 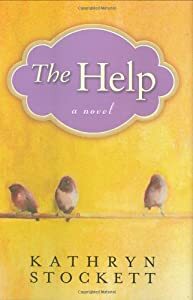 Based off the novel by Kathryn Stockett, it is about African American domestic workers in Missisippi who help a young white woman write a book from the point of view of, ‘The Help’. Set against the civil rights movement, it details the complex relationships between the white families and the maids who are employed by them. Octavia Spencer won the award for ‘Best Supporting Actress’ for her portrayl of the fiesty Minnie. Viola Davis won for her role as Minnie’s best friend Aibleen, and took home the award for ‘Oustanding Performance by a Female Actor in a Lead Role’. Minnie and Aibleen help the character Miss Skeeter, played by Emma Stone, round up other maids to tell their stories; the good and the bad. The SAG Awards are said to predict who will win at The Academy Awards, or Oscars, and we wish both these FAB Women the best of luck! We’ll be watching!